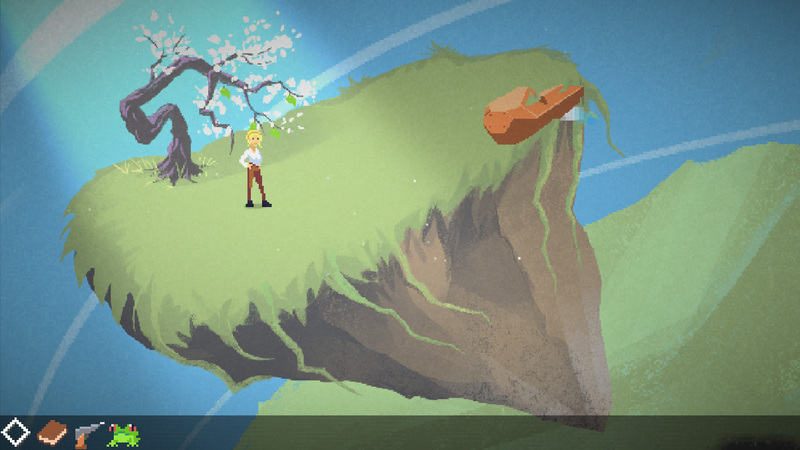 Milkmaid of the Milky Way is a solo project from Norwegian indie developer, Mattis Folkestad, that puts you in the role of Ruth the milkmaid whose prerogative seems to be speaking and thinking completely in rhyme. This might sound a little cheesy, but it’s not intrusive in the slightest and adds a wonderful level of whimsy to a game that made me smile. We begin on small farm, found on an idyllic mountain–presumably in Norway considering the fjords in the distance. It’s a regular day for Ruth who must tend to her cows and prepare butter and cheese for collection later. A storm ravaged the mountains while you slept, so the first order is to find and collect your tools from wherever they landed. When your cows are abducted by an alien ship, Ruth’s first instinct is to protect her herd and figure out how to get them back again. This adventure will take you to space on an epic adventure, putting an ordinary dairy girl in some extraordinary situations. From here, Milkmaid of the Milky Way becomes brilliantly stylised with a mixture of pixel art and rough chalk painting. These converging art styles create a subtle contrast between characters, objects and the terrain so that you’re barely aware the game is helping you to separate background noise from the important interactive elements. Everything merges together very well, though, and it creates a sense that you’re playing through a fairytale. The animations, the rhyming structure of every piece of text, and the classic farmer-turned-hero writing mechanic– all of these add to the beauty of Milkmaid of the Milky Way, because it’s utterly lovely in all the right ways. 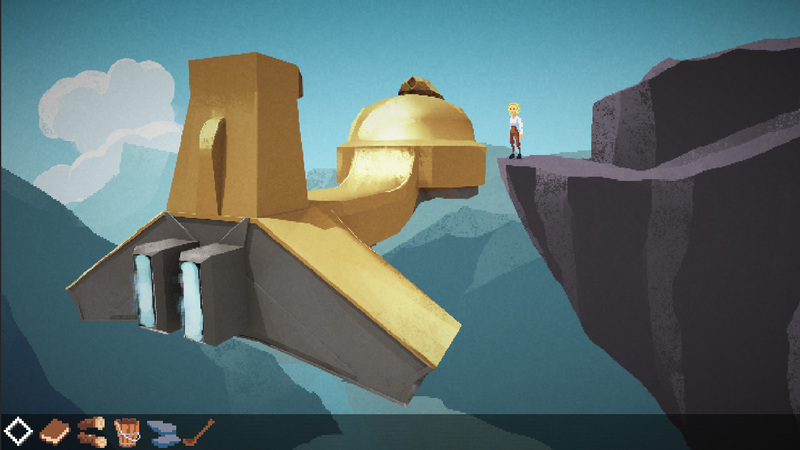 There were parts of the game where it wasn’t exactly clear what it wanted me to do next, but that is quickly overcome with the tried-and-tested adventure game philosophy of “explore everywhere and try everything.” There was one puzzle toward the end that was a complete lucky shot for me, completing without knowing how. Other than this, the puzzles make sense and, unlike many games in the genre, logical within the story and the objects you’re carrying. Every chapter of the overall narrative is very well paced to keep you invested and interested, while letting you take stock of your surroundings and enjoy the beautiful environments. Although the bulk of the story took place on the alien spaceship, there was careful consideration for the prologue to gain a deeper understanding of Ruth and her life so that the dedication to her cattle–which eventually led her onto said spaceship–was not confusing to the player or seemingly or out of character. I found it to be a great story, told well. If there is any criticism to be made about the game at all, it would be that it was a little shorter than I had expected. It’s roughly three hours long and you’re unlikely to play it a second time, for a while anyway. Also, I felt the last puzzle didn’t quite fit. The sense of urgency and danger that I felt was diminished by the fact that the adventure game mechanics called for iterating over the same parts of the puzzle multiple times. I felt like this part could have been embellished a little, but this is a small criticism which does not detract from the overall enjoyment of this finely crafted game. If you’re searching for a couple of hours of losing yourself in a sweet, whimsical fantasy then Milkmaid of the Milky Way is for you. It costs less than a trip to the cinema, and great for players of any age.